Thank you so much for coming. It’s a pleasure to see old friends and meet new ones. But the highlight today is to share the exciting findings from our six-year research partnership with CHANCES Family Centres, the University of PEI and the provincial government. The Margaret and Wallace McCain Foundation is guided by evidence from multiple sources that shows quality early education promotes equity, and equity as essential to democratic societies. 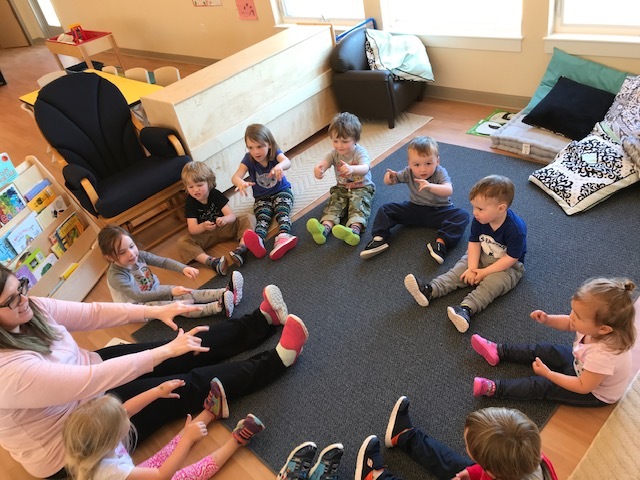 We work with governments and early childhood stakeholders throughout the country, but primarily in Atlantic Canada, supporting initiatives that promote early childhood education for all. It is a concept that replaces outdated notions of daycare as “a place kids go while mom works”, to viewing ECE as the first tier of education, as important -- if not more so -- than those that follow. The project at CHANCES has three components. The first offered 20 hours a week of no-fee preschool for children aging out of home visiting at age 3 until the start of Kindergarten at age 5. The second phase focused on increasing service quality by enriching the practice of educators; and the third explores the potential for a data repository able to monitor child wellbeing from birth into the school system and beyond. These efforts continue beyond the research phase. Improved access to licensed child care has expanded. Over 100 children now attend an early learning program due to changes to the provincial eligibility requirements for subsidies. Prior to the change, parents needed to meet income requirements and be working or studying full time to qualify. But low wage work is often precarious. When a parent lost their job, their child lost the child care subsidy, their place in a child care centre, access to their friends and teachers and most importantly, their learning opportunities. Under the new plan, income is the only criteria. A parent may not be in the paid labour force, or may sadly, lose a job but the child continues to attend their early years program. This change was informed by the study. Over 100 families took advantage of the offer to enrol their children in a CHANCES Early Years Centre for no cost. With their children’s needs attended to some families were able to focus on finding work or upgrading their skills. Others took care of younger children or other family members. Continuously attendance in an Early Years Centre was found to improve their children’s language, social and thinking skills, supporting their entry to Kindergarten and improving their chances to succeed in school. These two-fold benefits – to the parents and the child -- lead us to recommend that PEI offer free preschool for all Island 4-year-olds. This would bring PEI in line with many other jurisdictions and ensure all children enjoy the learning and social benefits of preschool. We suggest the province appoint a special advisor, who would report directly to the premier on how this could best be accomplished. The second part of the project was focused on quality improvement. Staff at CHANCES developed their professional development plan in consultation with early childhood experts. They created assessment tools and adopted program standards. These are now available for others to use and adapt. Supporting educator practice is critical to the quality of programming children receive. It is also important for government to recognize the importance of this work with fair compensation. We welcome the steps PEI has taken to improve the wages of early childhood educators. The third part of the project is to create a data repository. This may sound boring but consider the amount of data that is collected on children as part of their birth records, immunization and health records; if they access social services or attend an early childhood program and when they enter school. None of this information can be anonymously linked to track the well being of the child population. It makes it difficult to identify and respond to concerning trends such as low rates of immunization or increased rates of childhood obesity. Without this information policy makers are operating in the dark, unable to assess whether the programs offered are having their intended effect. The Foundation continues to support Dr. Bill Montelpare at the University of PEI. He is working with researchers and officials here, and with those in other provinces where secure data systems have been established. I can not close without mentioning one very good news story. In 2016 CHANCES operated five Early Years Centres; today it has nine. They all do very valuable work but one showcases a special finding. CHANCES opened its O’Leary Centre in 2016. It now accommodates 75 children and employs 22 educators and support staff, bringing needed jobs and economic stimulus to a rural island community. It also settles the argument that rural families don’t want educational care for their children. To me the payoffs of early childhood education are priceless, but economists have done the math, finding returns of up to $6 for every public dollar spent. The benefits are large, as are the costs of inaction. We have the evidence. Now we need the action.